Plus: Butter and good quality maple syrup for serving. Begin by preheating your oven to 175-200° F. In a large bowl, combine all of the dry ingredients. Mix them well and then set aside. 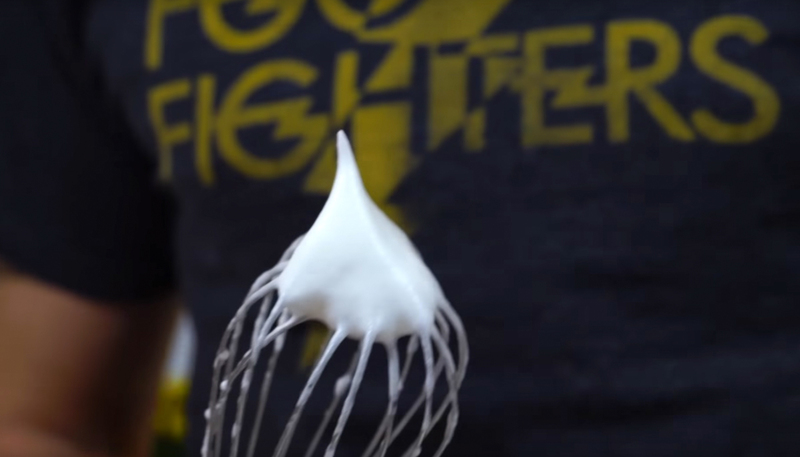 Separate the egg yolk from the egg white, and in a new bowl, whisk the egg white until it forms stiff peaks. This process should take a good 8-10 minutes by hand, or you can use a hand mixer. Put the whipped egg white aside and, in a separate bowl, add the egg yolk. Whisk the egg yolk for a minute just mix in some air and lighten it up. Then, stir in the sour cream. Mix well. 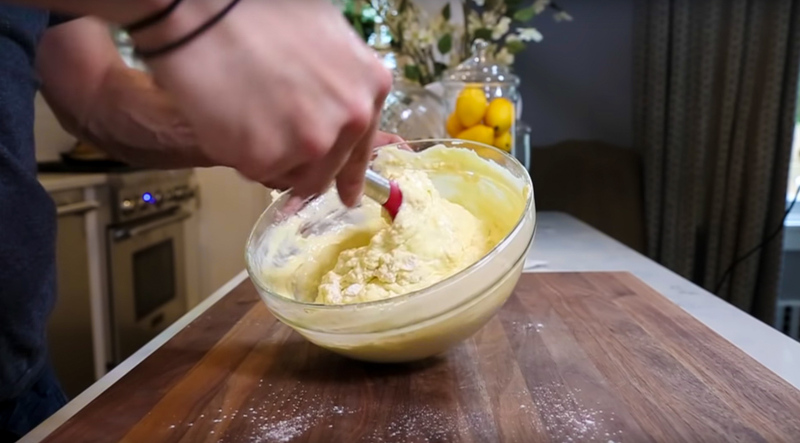 Now, go ahead and add the rest of the wet ingredients to that bowl, whisking to make sure everything is well combined. At this point you should have a bowl of wet ingredients, a bowl of dry ingredients, and a bowl of whipped egg whites. Add the dry ingredients to the bowl of wet ingredients and fold it all together. Here, we just sort of want to hydrate the flour, but we don't what to work the batter. Lumps are okay; you just don't want to see any dry flour anywhere. 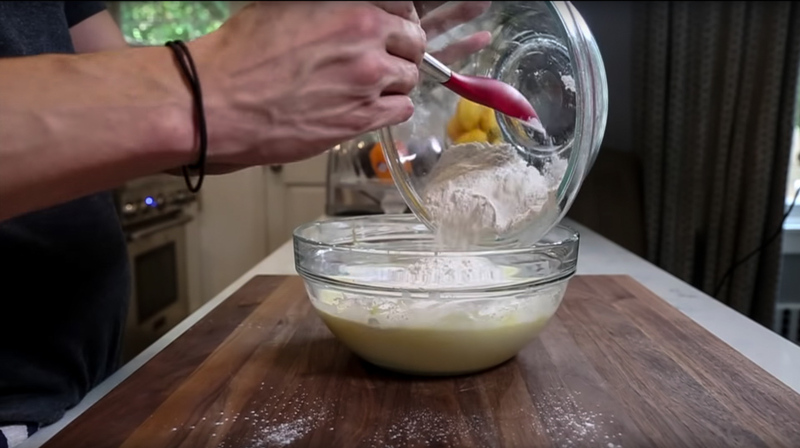 Don't use a whisk, just run your spoon around the bowl edge, cut down the middle and fold over. Do this 10-20 times. Once the flour is mixed into the wet ingredients, do the same thing with the whipped egg whites. Combine the egg whites in batches. Take a spoonful at a time, and GENTLY fold the whites into the batter. Be very careful otherwise you will deflate the whipped whites you've worked so hard for. This process is going to ensure a super fluffy and pillowy pancake. The contents of the bowl will be on the thicker side. This is a good thing. When your batter is well mixed, let it sit in the fridge for at least 15 minutes, or up to a day. You could totally mix this up the night before so you're ready to go first thing in the morning. When you are ready to cook, heat up a nonstick skillet or a well seasoned cast iron pan. Once its preheated to medium, butter the surface. I recommend using measuring cups to portion out the pancakes. I found that a 1/2 cup will yield bigger, more traditional sized pancakes, while 1/4 cup will give smaller silver dollar pancakes. Spray some cooking spray into the measuring cup before using. Then just scoop some batter, add it to the buttered pan, and just shake the pan a bit until the batter spreads out and forms a circle. 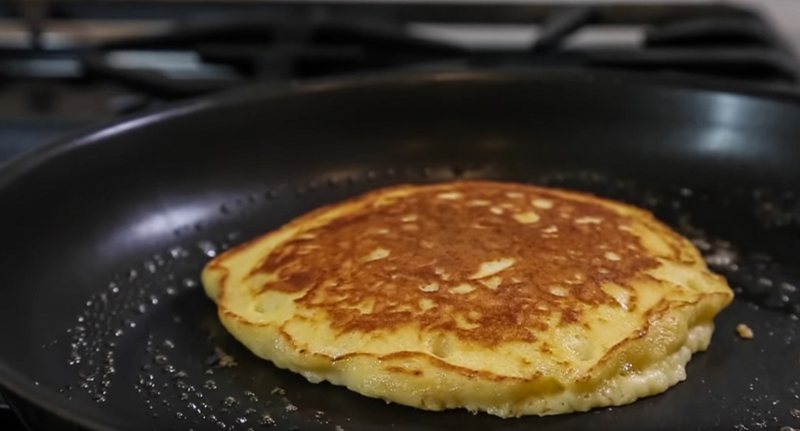 Cook for about 3 minutes on one side or until bubbles start to form on top, and the edges of the pancakes start to brown a little and firm up. Then flip and cook just for about a minute of the other side. 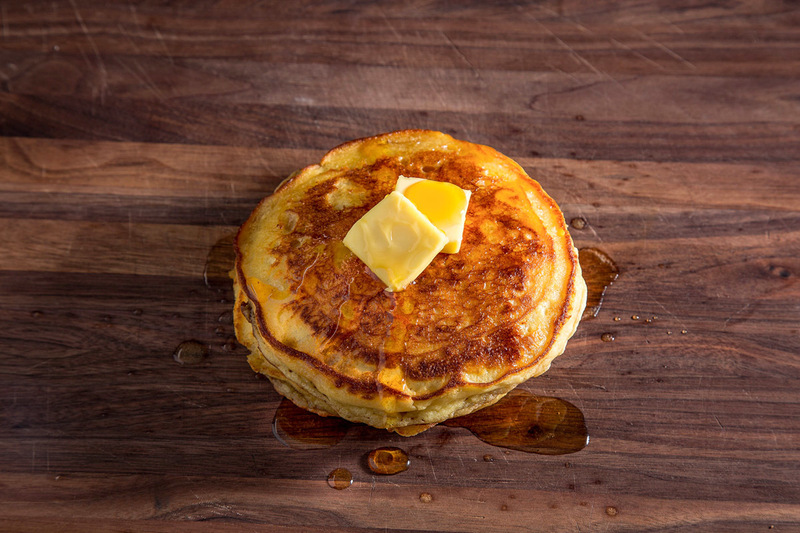 Transfer to a wire rack in the oven set at 200 degrees to keep pancakes warm while you cook the rest of the batter. 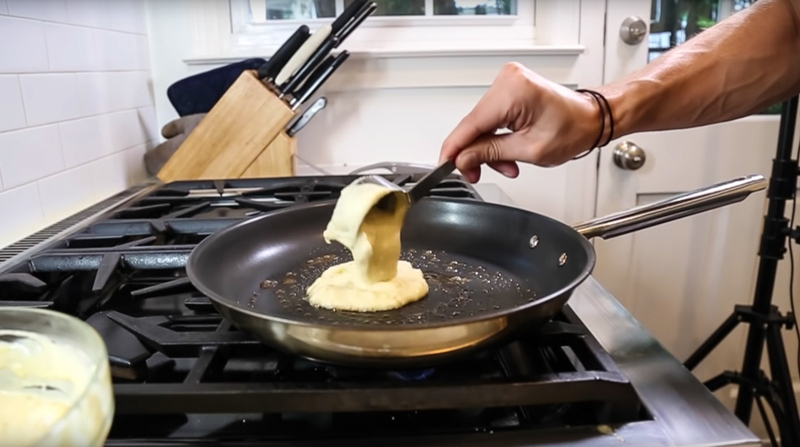 To serve, take a bit more melted butter and paint each pancake with it. 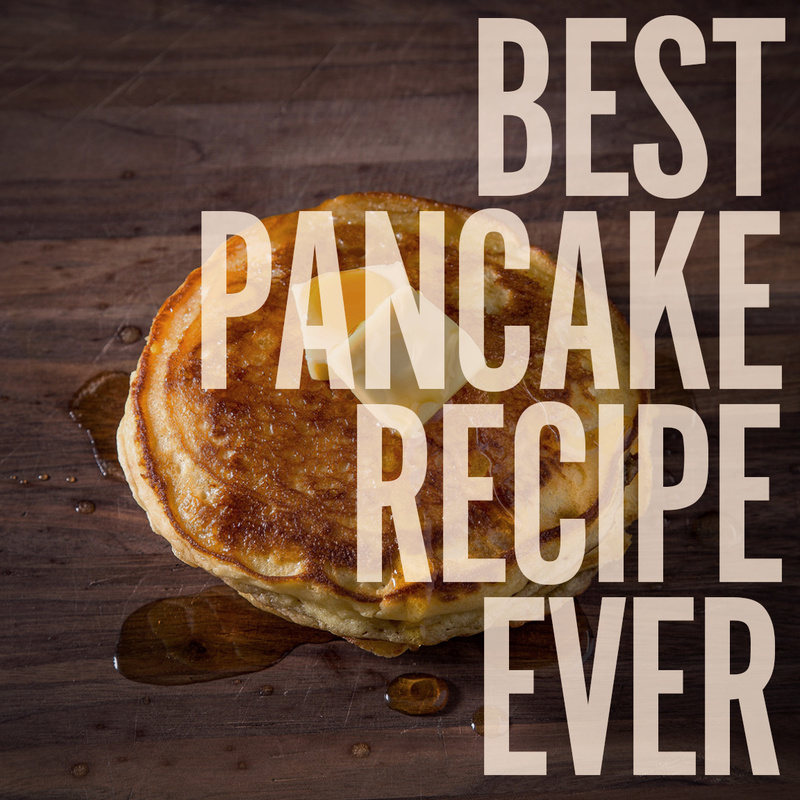 Then pour your favorite maple syrup on top, and enjoy a world class breakfast. For more simple, technique-based food ideas, follow Not Another Cooking Show on YouTube. You'll be seriously glad you did.